Our mission statement is simple. We believe that you deserve agents who will deliver the highest level of customer service, and who possess the knowledge and sales experience to ensure that your transaction is a resounding success. In addition, we also offer the latest technology to streamline the home buying and home selling process and give you an edge over other consumers working with lesser tools. Trust is everything. We adhere to a strict ethical code to always put your best interests first. Quite simply, we want to make you a client for life- and for you to be so thrilled that you recommend our services to others. Whether you are a first time buyer, relocating, selling luxury property, dealing with an estate situation or investing, we have the experience and the enthusiasm you deserve. Give us a chance to knock it out of the park for you- contact us today! HILARY BACKLUND Hilary is an Associate Broker, holds her GRI (Graduate, REALTOR ® Institute, held by roughly only 20% of REALTORS®), an e-Pro designation (marketing through technology), and the National Organization Of REALTORS® GREEN designation. She has completed the education requirements for the Accredited Luxury Homes Specialist certification. She also held the Fine Homes and Estates certification at her previous brokerage, and has a strong marketing background. JAY LOTOSKI Jason (Jay) has a Bachelor of Arts degree in Psychology, and in addition to being a licensed REALTOR®, he has been extensively trained in the art of negotiation. As an Accredited Buyers Representative (ABR) he will guide you through the buying process ensuring you are well informed in every step of the way. He also holds the Short Sale and Foreclosure Resource Certification (SFR). Jay is a stickler for detail and has fantastic organizational skills. 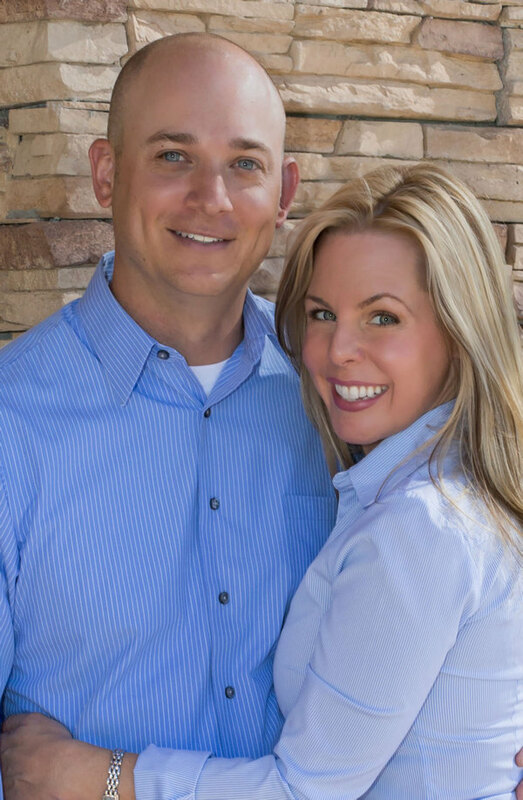 WE ARE DRIVEN BY A VISION Hilary Backlund and Jason Lotoski are a husband and wife real estate team based in Oro Valley, Arizona, and also serving the surrounding areas of Tucson, Catalina and Marana. They relocated to Tucson in 2005 and are in love with the area and all it has to offer. Real estate is not a sideline for Hilary and Jay. They are full time REALTORS® and are passionate about providing the highest quality of service for their clients. 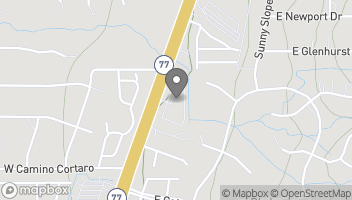 Both Jay and Hilary love home remodeling, landscaping and interior and exterior design. They’re creative and quick to see the potential of a home, and they willingly share their ideas with their clients. Hilary and Jay know that real estate transactions can be stressful, and they are committed to making your experience smooth and pleasant. Both out of the box thinkers, they are quick to provide solutions for their clients during difficult transactions. Thoughtful and sensitive to individual needs, you can be assured of their genuine and careful concern for their clients. As recipients of Long Realty's most prestigious award, the 1926 Circle of Excellence every year since joining the company in 2012, these top Oro Valley real estate agents continue to work tirelessly to raise the bar and exceed client expectations. Whether you’re buying your first home or selling a home you’ve lived in for decades, Hilary and Jay are the right team to trust for your real estate needs. AWARDS AND CERTIFICATIONS Hilary and Jay of The Property Aces Team are currently ranked in the top 3% of Tucson REALTORS® in sales production. Since joining Long Realty Company, they have been top producers every year, which earns them a spot in the firm’s prestigious “Circle of 26″. In 2017 they were both awarded “Vice President Members of the Executive Council”, held by agents who have consistently and consecutively produced top tier sales production. However, the accolades they feel matter the most and are the proudest of come from their clients! You can read many of them here. WE WOULD LOVE TO HEAR FROM YOU! IF YOU HAVE QUESTIONS OR WOULD LIKE TO JUST MEET TO SEE IF WE ARE A GOOD FIT, FEEL FREE TO CONTACT US ANYTIME. WE LOOK FORWARD TO SERVING YOU!